Bank lawyers make their arguments for illegalities sound good, which they are for greedy banks. Banks have taken the homes of 18 million Americans. Studies show that in 86% of a random sampling of foreclosures, banks used forgery, fraud and other irregularities. With that in mind, Fight Foreclosure. I haven’t yet won against Warren Buffett’s Wells Fargo, but I’m hopeful. 11/6/2016 ~ I’m delighted to read that with all the recent exposure of Wells Fargo fraud, Warren Buffett’s Berkshire Hathaway has lost 24% of its value. Buffett himself apparently lost at least a billion. Not enough to make up for what he did to millions of American homeowners, but it’s something. I’m not going to include the exhibits simply because they are lengthy and it would take a lot of time. Warren Buffett’s Wells Fargo ~ Read more. Bank of New York v. Romero ~ Read more. Under the Romero Case, Bank of New York v. Romero, 320 P.3d 1 (2014), 2014-NMSC-007, Wells Fargo Bank had to demonstrate that it had standing to foreclose at the time it filed this foreclosure. In fact Wells Fargo did not demonstrate that it had standing. Wells Fargo’s Complaint for Foreclosure has a copy of a negotiable instrument and mortgage attached, neither of which names Wells Fargo, Exhibit 1. Thus, on the basis of the facts presented in Wells Fargo’s Complaint for Foreclosure Wells Fargo had/has no foundation in law or fact to foreclosure upon a mortgage in which it has no legal or equitable interest. “One who is not a party to a contract cannot maintain a suit upon it. If [the entity] was a successor in interest to a party on the [contract], it was incumbent upon it to prove this to the court.” L.R. Prop. Mgmt., Inc. v. Grebe, 1981–NMSC–035, ¶ 7, 96 N.M. 22, 627 P.2d 864. While it is true that New Mexico state courts are not subject to the jurisdictional limitations imposed on federal courts by Article III, Section 2 of the United States Constitution, “New Mexico’s standing jurisprudence indicates that our state courts have long been guided by the traditional federal standing analysis,” ACLU of New Mexico v. City of Albuquerque, 188 P.3d 1222 (N.M. 2008). While it does not matter how many persons have been injured by the challenged action, the party bringing suit must show that the action injures him in a concrete and personal way. This requirement is not just an empty formality. It preserves the vitality of the adversarial process by assuring both that the parties before the court have an actual, as opposed to a professed, stake in the outcome, and that the legal questions presented … will be resolved, not in the rarified atmosphere of a debating society, but in a concrete factual context conducive to a realistic appreciation of the consequences of judicial action. Ibid. 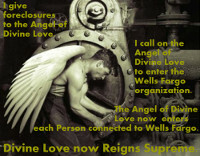 Clearly Wells Fargo has a professed stake in the outcome of this legal action, the problem, however, is that Wells Fargo did not show the court that it had an actual stake when it filed its Complaint for Foreclosure and attached copies of a note and mortgage that at no point name Wells Fargo. Wells Fargo’s 43 +/- pages of exhibits do not cure the fact that when Wells Fargo filed this foreclosure it did not demonstrate that it had standing to foreclose. Technically, to prove standing, it should have deposited the original note in the court’s vault. Wells Fargo’s enumerated claims of Undisputed Facts, 1 through 18, are all disputed as irrelevant given that Wells Fargo did not demonstrate that it had standing to foreclose when it filed its Complaint for Foreclosure. See Exhibit 1. 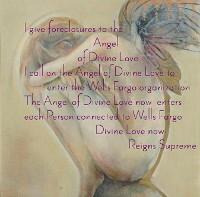 Neither the copy of the note nor that of the mortgage name Wells Fargo. Nothing in Wells Fargo’s Complaint for Foreclosure demonstrates that Wells Fargo has standing to foreclose. Wells Fargo’s paragraph 10 is patently false when it says that the blank indorsement on the copy of the note evidences that the note was transferred to Wells Fargo. The blank indorsement could be to another bank: it is “blank” it does not say Wells Fargo. Wells Fargo’s paragraph 17 is false. I was qualified for a HAMP loan modification and was given a trial period after I timely called, accepted the offer and arranged to make payments. If Wells Fargo signed an affidavit to the effect of paragraph 17 Wells Fargo would be perjuring itself, or the officer who made the affidavit would be. The fact is that I kept the loan modification agreement exactly as it was provided and agreed. In a prior offer which I rejected I was to make a balloon payment of tens of thousands of dollars. HAMP guidelines do not allow for that. 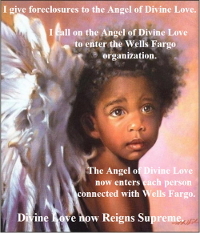 The balloon payment offer by Wells Fargo was not a HAMP offer and I did not accept it. The only offer I accepted was that for the HAMP loan modification and the trial period which I faithfully kept. Thereafter Wells Fargo reneged. Wells Fargo’s paragraph 18 is false in that I made three loan payments in 2009 under the HAMP loan modification agreement trial period. Exhibit 2. 55-3-309. Enforcement of lost, destroyed, or stolen instrument. (a) A person not in possession of an instrument is entitled to enforce the instrument if (i) the person was in possession of the instrument and entitled to enforce it when loss of possession occurred, (ii ) the loss of possession was not the result of a transfer by the person or a lawful seizure, and (iii) the person cannot reasonably obtain possession of the instrument because the instrument was destroyed, its whereabouts cannot be determined, or it is in the wrongful possession of an unknown person or a person that cannot be found or is not amenable to service of process. Wells Fargo’s Affidavit of Lost Original Note, sworn by Yolanda T. Williams, filed 7/19/2011, does not give the date the original note was shipped, the means by which it was shipped, the tracking information related to the shipping, nor any explanation of how the tracking information failed to locate the original note. With these deficiencies Wells Fargo’s Affidavit of Lost Original Note fails to show that the loss of possession was not the result of transfer or lawful seizure, either of which would preclude Wells Fargo from foreclosing on the negotiable instrument pursuant to the UCC, 55-3-309(2) NMSA 1978. The Affidavit of Lost Original Note sworn by Yolanda T. Williams may not be relied upon when it lacks evidence to support its statements. In addition, Yolanda T. Williams is not on Wells Fargo’s Witness List to testify to the truth of her statements re the Lost Note. Without testimony supporting the affidavit, it fails. Instead of proving that the note was not lost in transfer or seizure, Wells Fargo has offered a Notice of Lost Note in which Wells Fargo asks the Court to accept a supposed search its bank files as proof that it had the note then lost it. This is inadequate to meet the requirements set by 5-3-309(a)(ii) NMSA. Wells Fargo refused to let me pay under the loan modification for which it qualified me. Wells Fargo refused money, it wanted my home and my garden which produces a large part of my food. 18 million Americans had homes taken by banks, and one of the largest banks taking American homes was/is Wells Fargo. In studies, 86% of foreclosures in random samples showed forgery, fraud or other irregularities were used by the foreclosing entity and its lawyers. By February 2011, 8 million children were affected by foreclosures. Children had to change schools, they lost their friends, many were forced to live on the streets. Health professionals estimate that 20% may not recover from the trauma. Where does Wells Fargo’s foreclosure profit go? Warren Buffett’s great source of wealth, Berkshire Hathaway holds 30 billion in Wells Fargo & Co. (NYSE: WFC). Buffett is Wells Fargo’s largest shareholder. Berkshire Hathaway collects more than $580 million in dividends a year on its more than 483 million Wells Fargo shares. Buffett’s taxes on that, per our tax laws favoring investors, is 10%. Buffett is the world’s 3rd wealthiest person with $72.7 Billion, according to Forbes, May, 2015. Taking the homes of kids and giving the dirty profits to Warren Buffett has become the new American standard. Without courts allowing robbo signing and other infringements of the law, millions of American kids would have safe, secure childhoods. Wells Fargo didn’t single me out for dishonest treatment after it qualified me for loan modification, it treated me the way it treats millions of Americans. Wells Fargo has generated a virtual fee-generating machine, through which its customers are harmed, its employees take the blame, and Wells Fargo reaps the profit. A free house? Quite the contrary, when Wells Fargo reneged on its loan modification agreement and chose instead to pursue taking my home, Wells Fargo seriously damaged my heath. I was able to walk, now I can’t stand without holding on to my walker. The stress and trauma caused by Wells Fargo’s constant threats to take my home and garden did that to me. Wells Fargo does that to millions of people, not just me. The note is a negotiable instrument. A negotiable instrument is a document guaranteeing the payment of a specific amount of money. This being the case, the UCC contains specific written rules to protect against a copy being used as an original to fraudulently obtain payment. A copy of a negotiable instrument is not a negotiable instrument. If copies could be used as negotiable instruments I could quickly Xerox up payment for whatever amount Wells Fargo says I owe, despite no demonstration at the filing of this foreclosure that I owe Wells Fargo anything. To enforce a note that is not in possession, the UCC, 55-3-309(a)(ii) NMSA, requires that it be shown that the loss was not the result of transfer or seizure. Wells Fargo has not shown this. Wells Fargo’s Affidavit of Lost Original Note, sworn by Yolanda T. Williams, filed 7/19/2011, does not give facts to support the contention that the note was not lost in transfer or seizure. Yolanda T. Williams is not listed as one of Wells Fargo’s witnesses and will therefore not be adding the necessary facts at trial. No. Wells Fargo did not demonstrate that it had standing. Wells Fargo’s Complaint for Foreclosure has a copy of a negotiable instrument and mortgage attached, neither of which names Wells Fargo, Exhibit 1. On the basis of the facts presented in Wells Fargo’s Complaint for Foreclosure Wells Fargo has no foundation in law or fact to foreclosure upon a mortgage in which it has no legal or equitable interest. “One who is not a party to a contract cannot maintain a suit upon it. If [the entity] was a successor in interest to a party on the [contract], it was incumbent upon it to prove this to the court.” L.R. Prop. Mgmt., Inc. v. Grebe, 1981–NMSC–035, ¶ 7, 96 N.M. 22, 627 P.2d 864. There is a prima facie showing that Wells Fargo’s Complaint for Foreclosure did not provide evidence that Wells Fargo was the holder in due course of the note. See, Romero Case. Bank of New York v. Romero 2014-NMSC-007. The U.S. Supreme Court has made clear that the burden of establishing standing rests on the plaintiff. Of particular importance is the fact that, per the opinions of the U.S. Supreme Court, standing must exist on the date the complaint is filed and throughout the litigation. Based on this longstanding rule Wells Fargo’s foreclosure must be dismissed for lack of standing. In the instant case, the underlying note and mortgage are the same in the first two foreclosure actions as in the third. The key is that the whole note became due based on the acceleration clause. An Acceleration clause, as defined by Black’s Law Dictionary (7th Ed. Rev. 1999), requires the maker, drawer or other obligor to pay part or all of the balance sooner than the date or dates specified for payment upon the occurrence of some event or circumstance described in the contract, such as a default by nonpayment. In a contract with an acceleration clause, a breach constitutes a breach of the entire contract. Once G.E. Capital invoked the acceleration clause of the note, the contract became indivisible with one obligation: to pay the entire balance on the note. Successive actions on the same note and mortgage do not involve different claims and there is nothing in Rule 1-041(A) that indicates it should not apply to foreclosure cases. In order for res judicata to bar a subsequent action, the claims asserted need not be identical to those asserted in the prior action; rather, a valid, final judgment rendered upon the merits bars all subsequent actions based upon any claim arising out of the transaction or occurrence that was the subject matter of the previous action. “Res judicata” – “a thing decided”- is rooted in public policy favoring stability of judgments. That policy protects the legal system from waste of limited judicial resources caused by duplicative litigation, but also litigants against the trouble and expense of prosecuting or defending the same matters multiple times. Each of the three Complaints for Foreclosure says, “On March 18, 1993, for good and valuable consideration, Defendant Karen M. Kline made and delivered a mortgage note (“note”) or (“the note”) evidencing a debt in the principal sum of $72,000.00 with fixed interest from said date at the Note rate of 8.125% per annum on the unpaid balance until paid …” Exhibit 1, Exhibit 3, Exhibit 4. Each of the three Complaints for Foreclosure give the same recording data for the mortgage, “The Mortgage was recorded on March 23, 1993, with the office of the County Clerk of Santa Fe County, New Mexico, in book 907 at page 894”. Exhibit 1, Exhibit 3, Exhibit 4. Thus, the underlying mortgage has been litigated three times and I have had to defend three times. The first dismissal on the underlying mortgage was in case number SF-96-713 CV, Exhibit 5. The second dismissal on the same underlying mortgage was in case number D-101-CV-200400390, Exhibit 6. Note that the second dismissal says, “All related claims involving Plaintiff and/or any of Plaintiff’s agents, including service Wells Fargo Bank, are hereby dismissed,” Exhibit 6. Rule 1.041(A)(b) denies preclusive effect to a first voluntary dismissal without prejudice, but a second such dismissal is considered to be “on the merits” even though no “merits” were actually litigated. My Motion to Dismiss for Failure to State a Claim, based on Rule 1.041(A)(b) was denied after Wells Fargo argued that I had to raise the defense in my Answer to Complaint for Foreclosure, which I had not done. 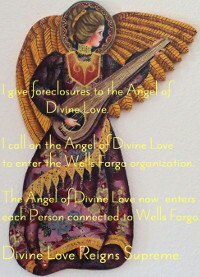 It is appropriate for the Court to dismiss with prejudice in view of the fact Wells Fargo did not demonstrate standing to foreclose when it filed this foreclosure and because the underlying mortgage has now been in litigation three times when the lesser amount of two is sufficient to achieve res judicata protection for the defendant and dismissal with prejudice. WHEREFORE, Defendant Kline respectfully requests that the Court dismiss for lack of standing under the Romero case, and dismiss with prejudice under Rule 1.041(A)(b) NMRA.